MSN is holding a global contest that will give the winner $75,000 to produce an original short-form online show to be made up of 12 one-minute episodes. There’s been no word on whether this initiative will coincide with a possible plan for Microsoft to release its own streaming box and exclusive content. 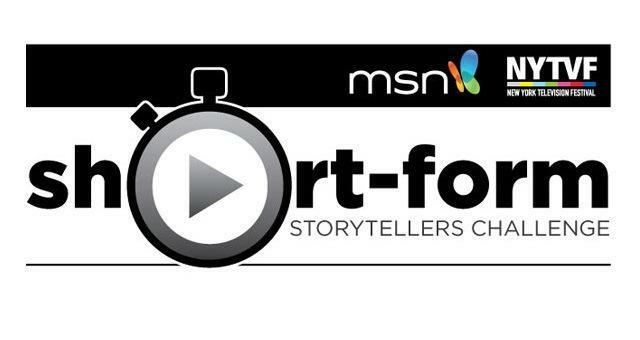 The contest, called the “Short-Form Storytellers Challenge”, is a partnership between Microsoft and the New York Television Festival (NYTVF). Each submission must have at least two episodes of no more than 60 seconds each, and the winners will have their show streamed exclusively on MSN with the possibility of a full series to follow. The exclusivity isn’t going to last though, since the production deal allows the winners to shop around their show to other services after an undisclosed period. The competition is open to anyone 18 or older and free of any contractual obligations that would prevent them from working with MSN. The NYTVF will take submissions from anywhere in the world from June 24 through to August 9. The top five will be selected and then present a formal pitch to unnamed panelists at MSN and in the entertainment industry during the festival’s Digital Day in October. The winner will be announced at the end of the event. The timing of this announcement is interesting because of a recent rumor suggesting Microsoft is preparing to launch a streaming box. On top of that, the next-generation Xbox console is set to be introduced to the public tomorrow, which may or may not have unique streaming features itself. Microsoft already has a video and music rental service on the Xbox, plus Netflix, Crackle, Popcornflix and other streaming services on the gaming console, but no dedicated streaming box hardware (like Apple TV or Roku). The company hasn’t produced exclusive content the way Netflix, Amazon and Hulu have, but the MSN contest may be an opening to a bigger picture that will come into focus sooner than later.